Reading, UK. Jan. 24, 2019 – IGEL, a world leader in software-defined endpoint optimisation and control solutions for the secure enterprise, today announced that it surpassed $100 million in revenue for the year ended December 31, 2018. Contributing to the landmark year was exceptional software sales performance for the company which increased 35%, year-over-year, in the UK. Overall, the company deployed nearly a half million net-new IGEL OS clients during 2018. In support of the dramatic growth momentum, the company has expanded its UK and European staff with industry-leading expert appointments in marketing, sales and the channel. New to the IGEL team is Simon Townsend, who joined as IGEL Chief Marketing Officer for EMEA with 20 years’ plus experience in the evolution of endpoint computing technologies, having worked at Ivanti and AppSense. Andrew Gee joined IGEL as VP Sales for Northern Europe from Teradici and brings 20 years’ experience of desktop and VDI solutions. 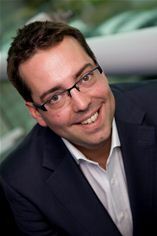 James Dunn joined from VMware to drive Field Marketing for Northern Europe. Tom Illingworth and Alec Connell joined from Dell Wyse to build out the customer facing solutions team and Kevin Markwick from Techdata to drive channel engagement for Northern Europe.